Scientists are looking closer at bee products and they think this elixir can help fight cancer and extend life! The people, who live in the Caucasus Mountain region, have a regular diet of bee products and they claim to live to be 125 years of age. Dr. Budwig encouraged the use of raw natural honey and bee food products. Bees are essential to our ecosystem and are responsible for pollinating more than 80 percent of all our fruits and vegetables. In fact, we could say that they are so vital to the food supply, we probably wouldn’t be here without them. Add a teaspoon of natural raw, unpasteurized honey to your mixture of Flaxseed oil and Quark or cottage cheese. Regular pasteurized honey sold in large supermarkets should be avoided as it basically likes eating sugar. Honey, as you know, is a byproduct of bees concentrating plant nectars. Raw honey has anti-viral, anti-bacterial, and anti-fungal properties. Honey also promotes body and digestive health, is a powerful antioxidant, strengthens the immune system, eliminates allergies, and is an excellent remedy for skin wounds and all types of infections. But there are more reasons to add honey to your daily food choices because raw honey can also stabilize blood pressure, balance sugar levels, relieve pain, calm nerves, and it has even been used to treat ulcers. And did you know that raw honey is also an expectorant and anti-inflammatory and has been known to effectively treat respiratory conditions such as bronchitis and asthma? Some people are allergic to all bee products and therefore should exercise caution. Just the same, interestingly raw honey purchased from a local source is an excellent way of treating seasonal allergies. Local honey is preferred for treating allergies because the likelihood is that it will contain small amounts of the specific pollens an individual may be allergic to. Bee Propolis has been nicknamed Russian penicillinâ. Bee Propolis contains specific tree resins collected by honeybees. And, in many ways, propolis is better than bee pollen because it contains many of the same polyphenols as bee pollen, but in higher quantities. And the potential health benefits of propolis are very impressive. 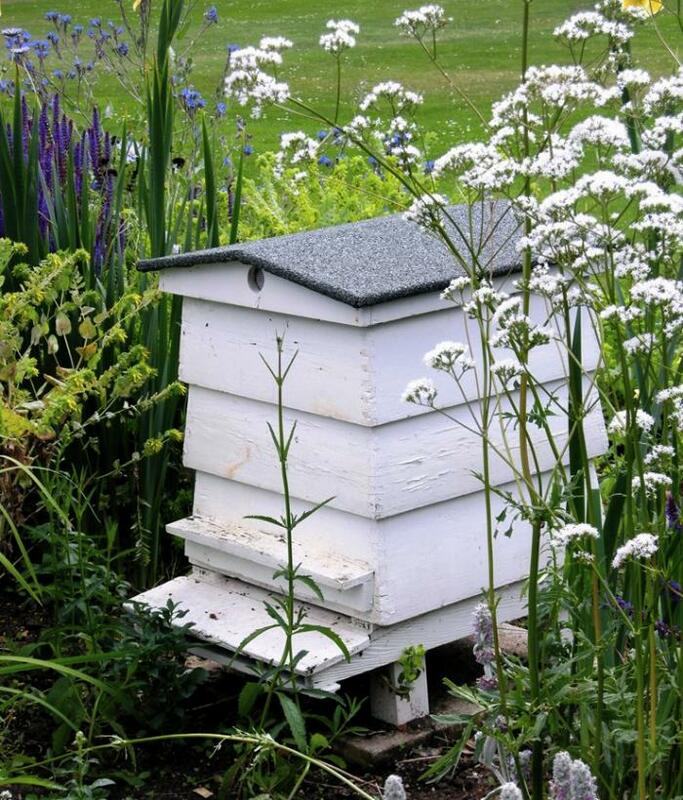 Bees use propolis to protect their hives from harmful invaders. And now there is growing evidence this bee product can fight foreign invaders in your body just as it does in the hive, killing microbes. It also has terrific medicinal and anti-cancer properties, which is why the BUDWIG CENTER encourages its consumption as well. In another study done in 2009, propolis was found to suppress the growth of neurofibromatosis-associated tumors (tumors on nerve tissue) by blocking PAK1 signaling. Researchers noted:2 But the benefits do not stop there, similar results have also been shown for cancers of the breast, GI tract, skin, lymph, pancreas, and even glioma cells (inoperable brain cancer). This natural bee compound acted with stunning speed. Scientists also confer that that propolis can actually protect your DNAs proper expression, helping prevent mutations and potentially uncontrolled replication of cancer cells. In layman terms, the propolis supports the proper function of your DNA and reactivates your cells ability to fend off tumor growth. Many who battle with cancer undergo radiation treatments. They would be wise to consume bee propolis beforehand. To see if propolis could protect against a single dose of radiation, mice were treated with propolis for three consecutive days, either before or after being exposed to gamma radiation. Those mice getting propolis before exposure fared far better and were less sensitive to radiation than those that were given propolis after radiation exposure. This suggests it might be wise to take propolis before any upcoming radiation-emitting diagnostic tests, including dental x-rays. And, also taking propolis prior to flying in an airplane would be a protection, because your radiation exposure is high at those altitudes. Many scientists are also alarmed about the radiation risks of cell phones, so daily consumption of bee propolis is again a wise decision. Propolis is generally nontoxic and well tolerated. But some people will have an allergic reaction. If you´re allergic to other bee products, do NOT use propolis. Consult your Health Care Professional if you’re allergic to conifer or poplar trees (resin sources). Also, avoid propolis if you’re pregnant or breast-feeding. Bee pollen comes from flower pollen collected by honeybees from various plants. In fact, pollen is bees major food source, rich in phytochemicals, antioxidants, and nutrients, which is a result of symbiosis between plants and bees. I like to consume a big tablespoon of bee pollen with my breakfast every day, as it is considered one of nature’s most completely nourishing foods as it contains nearly all nutrients required by humans. Did you know that Bee-gathered pollens are rich in proteins (approximately 40% protein), free amino acids, vitamins, including B-complex, and folic acid? Yes, bee pollen is richer in proteins than any animal source. It contains more amino acids than beef, eggs, or cheese of equal weight. Bee Pollen also supports the cardiovascular system as it contains large amounts of Rutin; an antioxidant bioflavonoid that helps strengthen capillaries, blood vessels, assists with circulatory problems and corrects cholesterol levels. Heart attacks and strokes are caused by blood clots and once again bee pollen helps as it has potent anti-clotting powers which could help prevent heart attacks and strokes. Men who suffer from benign prostate hyperplasia can find relief by using bee pollen, as it can help reduce inflammation to stop frequent urges to urinate. And finally, bee pollen stimulates and restores ovarian function, therefore it may be used to assist in accelerating pregnancy. As well as being a hormonal booster it is also a great aphrodisiac! Royal Jelly as you may remember from your Science classes at school, is the primary food of the queen bee, who lays two million eggs during her five-year lifespan. Royal jelly is used for asthma, hay fever, liver disease, pancreatitis, sleep troubles (insomnia), premenstrual syndrome (PMS), stomach ulcers, kidney disease, bone fractures, menopausal symptoms, skin disorders, and high cholesterol. It is also used as a general health tonic, for fighting the effects of aging, and for boosting the immune system. Some people apply Royal Jelly directly to the skin as a tonic or to the scalp to encourage hair growth. It also seems to have some activity against tumors and the development of hardening of the arteries. However, just a word of caution; Royal Jelly is the most likely of any bee product to bring on an allergic reaction. Because bee propolis and other bee products are so beneficial for our health, we may decide to load up on these, but a word of caution, as with any new supplement you add to your regimen, start slowly and gradually increase the dosage. Better safe than sorry. The best way forward is over a couple of months it may be safe to take a teaspoon or even two teaspoons of propolis. These bee products are truly a Golden SuperFood that everyone should add to their daily food intake.